The Caley runs a demonstration organic allotment at the Bridgend allotment site, Old Dalkeith Road, Edinburgh. 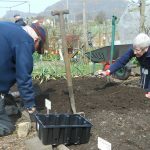 Caley volunteers work on the allotment on Thursdays. They are a hardy bunch and can be found working whatever the weather. They are usually onsite from 10am onwards. Caley members and visitors are welcome to pop along to see what is going on. If you have an allotment related question, why not go along and ask one of our very knowledgeable team. New volunteers are very welcome to join the team. Email: administrator@rchs.co.uk if you are interested in finding out more. Occasional workshops are held on a variety of topics, so if there is something you want to learn keep an eye out for a suitable workshop. Details are posted on the home page of the website and on our Facebook page. 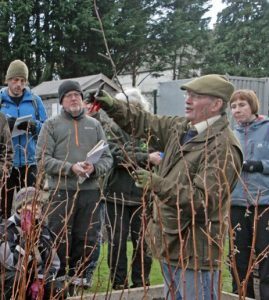 Want to find out how to prune your fruit trees? Not sure what to do with your raspberries and strawberries? 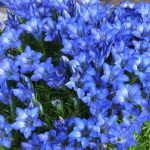 Click below to download a fact sheet with lots of helpful tips from George Anderson of the Beechgrove Garden (he also just happens to be Honorary President of The Caley). 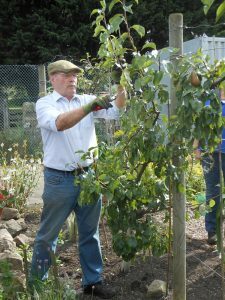 Give your fruit trees and bushes some attention in Autumn/ Winter to ensure a bumper crop of fruit the following summer. Click below to download our fact sheet with all you need to know about winter fruit pruning. 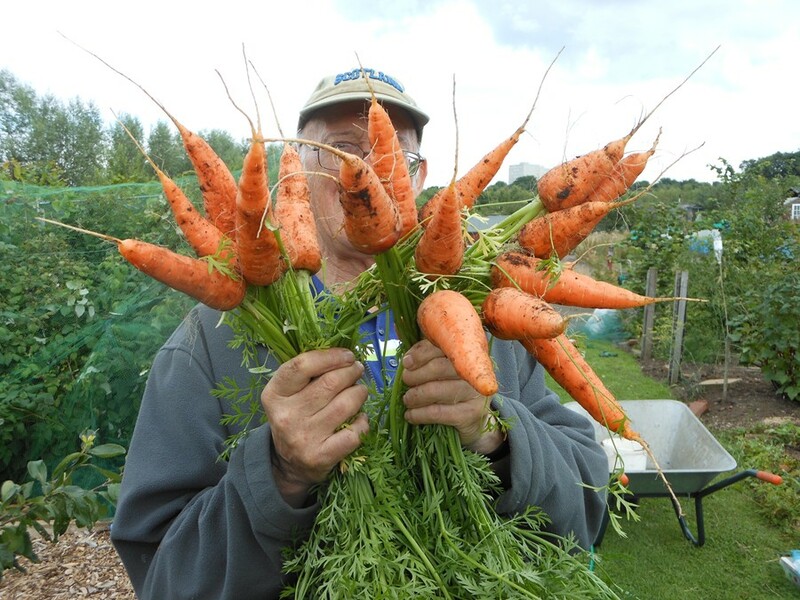 Catch up with all the news from the allotment!